NZJF foam slurry pump is mainly employed to transport foam slurry. During this process, it can partly remove foams. And the transportation capacity of rubber lined slurry pump is much higher than that of other models. Besides, it does not need shaft seal or seal water. Due to this, it has become the ideal pump for mining plant and other industrial workings. 1. Rubber lined slurry pump is characterized by high efficiency, unique anti-wear design, convenient maintenance and repair. 2. Foam slurry pump makes use of multistage tandem to ensure long-distance transportation. 3. The adoption of high wearproof rubber can lengthen the service life of wetted parts. For example, rubber front plate and impeller can be used respectively for 205 days and 120 days. The rubber has chemical stability, light weight and high resilience. It can absorb noise and vibration. 4. NaiPu is able to develop and manufacture products like foam slurry pump. The company sets up close relationship with Eastern China University of Science and Technology, Nanchang and Changsha Metallurgy Design and Research Institute, and so on. 5. Rubber lined slurry pump employs many designs, such as flow cross section design, uniform section velocity design, optimized parts structure design, etc. Besides, EDEM discrete finite element analysis software is utilized in the design. 6. 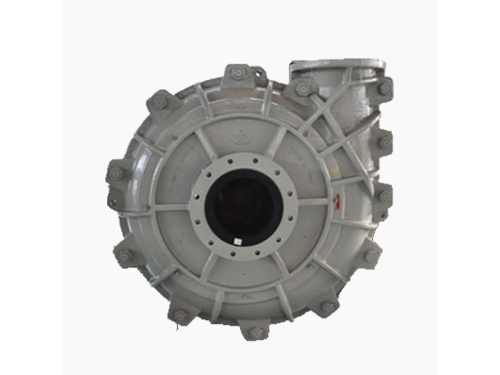 The wearing parts of foam slurry pump are well designed so as to reduce abrasion. 7. Rubber lined slurry pump has good performance which is suitable for different requirements of working conditions. 8. Operators and quality inspectors make several quality tests to guarantee pump quality. 9. The company also provides foam slurry pump selection service. Users should abide by regulated security measure to install, operate, and maintain foam slurry pump and auxiliary devices, such as motor, belt transmission device, coupling, high-speed box and stepless speed change device. 1. Make replacements of quick-wear parts. 2. Ensure that the bearing is lubricated frequently. 3. Make sure that impeller of foam slurry pump is adjusted. 4. Check and repair shaft seal. According to different slurry and minerals, select appropriate foam slurry pumps and wetted parts. 1. Foam slurry pump should be packaged in iron cases. 2. Ocean shipping and land transportation are accepted. 2. Horizontal slurry pump should be delivered within 30 to 60 days after receiving down payment. Field installation and maintenance can not be offered unless the purchase orders of foam slurry pumps reach a certain amount.